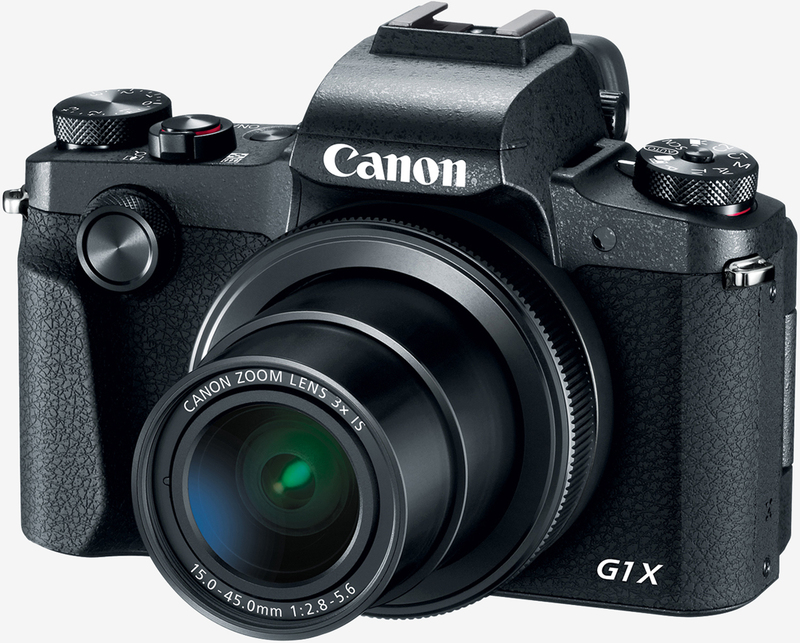 Canon on Monday introduced its first-ever point-and-shoot camera with an APS-C sensor, the PowerShot G1 X Mark III. The company’s new G-Series camera features a 24.3-megapixel APS-C CMOS sensor with an ISO range of 100 to 25,600. It’s paired with a wide-angle 24-72mm (3x zoom) lens with an f/2.8-5.6 aperture and optical image stabilization. It’s the largest sensor ever crammed into a Canon point-and-shoot camera. The camera also comes equipped with Canon’s Dual Pixel CMOS AF system and is capable of continuous shooting speeds of up to seven frames per second (or nine fps with a fixed auto-focus). There’s also a 2.36-million-dot OLED electronic viewfinder and a 3.0-inch touch-enabled LCD screen with touch-and-drag AF to assist in framing shots and locking focus, respectively. Elsewhere, you’ll find built-in Wi-Fi, NFC and Bluetooth connectivity to facilitate photo sharing, up to 1080p @ 60 frames per second video recording (no 4K support, unfortunately) and a panoramic shot mode. The Canon PowerShot G1 X Mark III goes on sale next month priced at $1,299. That may be tough to swallow considering you can get a decent mirrorless setup with a handful of lenses for less money but if you really want an APS-C compact zoom, your options are limited for now.